I've broken things down into four different groups… Dinner, Salads, Breakfast & Sides and of course Dessert! What inspires your kitchen as the seasons change? Do you relish the idea of welcoming in new dishes to your tables after the long, cold winter. I know I do!! 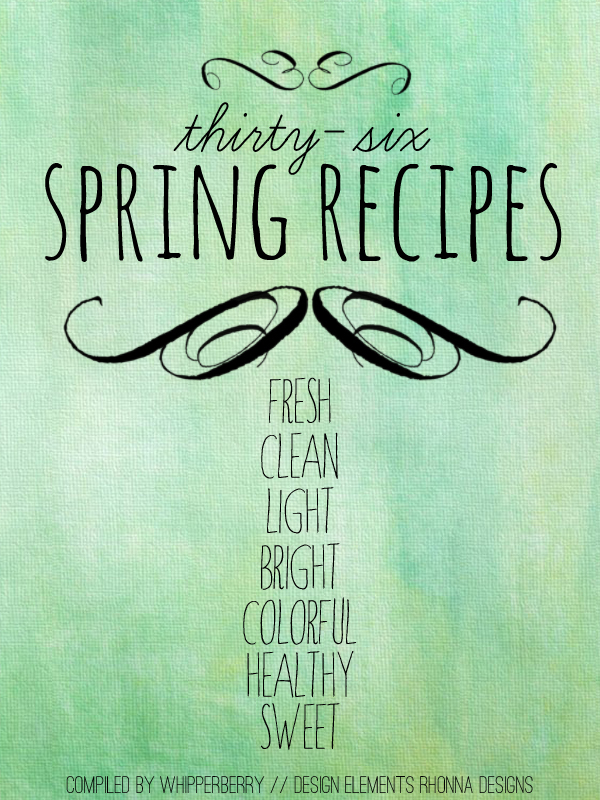 What is your favorite spring recipe? Share a link in my comments… I would LOVE to see what you crave! I bet Sunday's weather got you in the mood for this post. I wore capris for our last day in the "Good Life" before heading back to the Show Me State. I had to pin several of those recipes – yum! I wonder what the Haymarket Farmer's Market will be like this year with all of the mess down there due to the new arena. There's no link for the key lime cheesecake! My mouth was watering just thinking of that one, so is there any way you could add the link? Thanks!! Spring cannot come fast enough! I'm so over winter this year. My favorite part about spring is being able to shop at the farmer's market and using those ingredients to make super simple, fresh recipes. Or just eating fruit straight out of the fridge! Heather, thanks so kindly for sharing my super salad with your readers! I'm excited about Spring too! Wow these are awesome and puts be in the mood for spring despite the fact we are getting 8" of snow again today! 🙁 Oh, well, I know it's not far! This post has given me recipe ideas for a month! Thanks so much for the ideas! I plan to make some and when I do I'll post them on my blog and give the link back to you! Happy Friday! Thank you for this recipe! Is amazing!